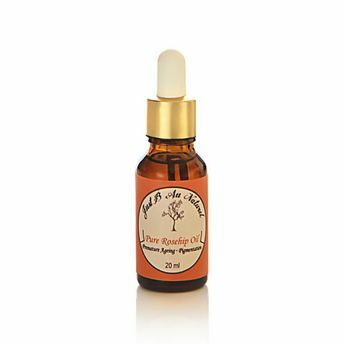 Just B Au Naturel's Rosehip Oil in its pure form is one of the most powerful regenerating and rejuvenating skin oils. This rich, amber colored oil is fast absorbing, restorative, moisturizing and contains essential fatty acids. The most extraordinary component of rosehip oil is Tretinoin which is an anti-aging bioactive that is known to combat acne and fine wrinkles. It also contains skin-healthy amounts of antioxidants and other nourishing vitamins and minerals. Its healing and curative properties help scars to heal faster, protect from sun damage, age spots disappear from the skin and stretch marks fade away. Rosehip oil is gentle for people with extra sensitive and damaged skin in need of repair. Explore the entire range of Essential Oils available on Nykaa. Shop more Just B Au Naturel products here.You can browse through the complete world of Just B Au Naturel Essential Oils .